We are just beyond the midpoint of November and where on Earth has the time gone! Wow! 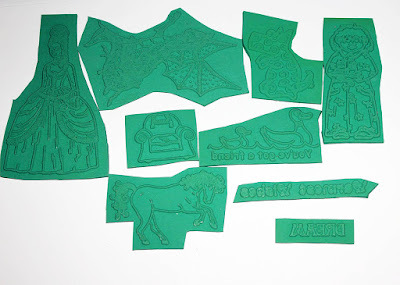 Today I have a postcard play I did with my awesome set of Rubber Bandit Stamps! These are really awesome stamps and make a great impression. Please hop over and visit the fantastic shop! Next week here in the US is Thanksgiving, so this is my take on a possible journey to Grandma's house :) But really this was just an excuse to play. The background is Distress Ink. The images are stamped with Distress Embossing Ink and heat embossed in Ranger Superfine Black. 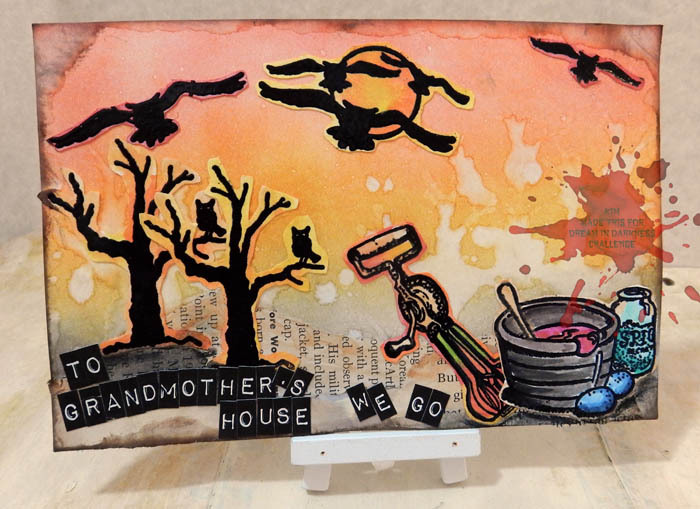 All images are colored with Inktense color blocks and a waterbrush. Anyone for blue hardboiled eggs? Evil Froggy says if you want to win this stash of Rubber Bandit Stamps, then you have to enter something fabulously 'odd' or 'weird' or just plain quirky too. Digi, stamped, whatever, just play it's great! Have a safe journey, wherever you travel to!